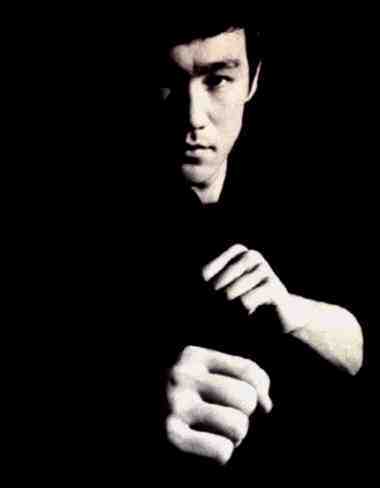 Bruce Lee explained that Jeet Kune Do was a style that was not a style. He thought about the reality of fighting and to do what works. It is about being direct in winning fights. This meant to win by any means necessary. He once said: “In building a statue, a sculptor doesn’t keep adding clay to his subject. Actually, he keeps chiseling away at the inessentials until the truth is revealed without obstructions. Jeet Kune Do doesn’t mean adding more. It means to minimize. In other words, to back away the inessentials. It is not a ‘daily increase’ but a ‘daily decrease.’ Art is really the expression of the self. The more complicated and restricted the method, the less the opportunity for the expression of one’s original sense of freedom. Though the play an important role in the early stage, the techniques should not be too mechanical, complex or restrictive. If we blindly cling to them, we will eventually become bound by their limitations. Remember, you are expressing the techniques and not doing the techniques. If somebody attacks you, your response is not Technique No. 1, Stance No. 2, Section 4, Paragraph 5. Instead, you simply move in like sound and echo, without deliberation.” (source: The Wisdom of Bruce Lee (1976) by Felix Dennis and Roger Hutchinson). I know that many instructors are looking to build a professional website for their martial arts business. In today’s world it’s important to have one where both students and prospective students can do to. Many professionals I know in many areas are gravitating to WordPress. Why? Simply because it’s easy to maintain. Instead of using a webmaster to maintain and update your pages, using WordPress, you can do it yourself. WordPress is designed on a blog-based platform. But it’s much more than that. It operates like a true, professional website. Once you sign up for a WordPress blog, you have the choice of how your site will look like. By going to the appearance link, you can pick the theme that you want. I would suggest picking one where you can customize the header. There are even ones where you can customize the background design. Or just pick what color you want. You can add pages for each area of your organization. The standard one is the “about” page. Posts are basically the blog posts you’d make. Now here’s the exciting about that. Recently Google changed the way they rank websites. They want fresh content. By posting regular blogs, not only will it keep your viewer informed of the latest happenings, it also adds fresh content. Blogs can be articles that you write, just make sure they are only for the blog and not elsewhere. There’s much more you can do with this. And you can keep it hosted at WordPress.com for free or self-host it (like at Go Daddy or HostGator). The choice is yours. At WordPress.com, you can upgrade. One of the things I would suggest is having your own unique web address. If you need help in setting it up, just contact me, okay?